Newcomer Family Obituaries - Robert 'Bob' Harbert 1937 - 2019 - Newcomer Cremations, Funerals & Receptions. 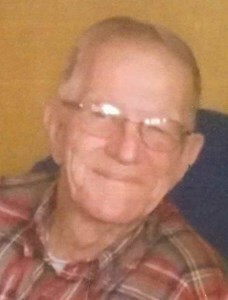 Robert “Bob” Harbert passed away on January 30, 2019. He was born October 7, 1937 in Clarksburg WV. Robert was preceded in death by his first wife Rosetta, and second wife Sandra. Robert enjoyed walking and taking care of his home and pets. He is survived by his children, Ralph Harbert, Phillip (Kimberly) Harbert and Michelle (Tim) Huber; brother, William “Bill” Harbert and sister, Sandra (Mike) Sandy both of WV. Also he leaves his grandchildren, Daniel, David (LaToya) and Dale (Bridget) Harbert, great-grandchildren Makayla, Lily, Jenny, Jaden, Jackson and Dawson. Special thanks to Summa Hospice for all their care. Family and friends may visit on Sunday, February 3, 2019 from 4-8 p.m. at NEWCOMER FUNERAL HOME, 131 N. Canton Rd., Akron, where funeral services will be held on Monday at 11:00 a.m., Rev. Michael Shaub officiating. Interment at Lakewood Cemetery. Add your memories to the guest book of Robert Harbert. Robert was such a kind & caring soul . He loved & cared for my sister Sandy until her passing . I will remember his smile , & his kind heart . He will be missed ! Bob was a friend of my parents, I was only a child when we met and I grew fond of his kind and gentle demeanor, I will sincerely miss him .He always had a smile and a wise word when he would see me out in the neighborhood. You’ve only been gone a day but it seems like forever. There is still so much I need to say and ask you but the opportunity has slipped away. I hope you know I did everything I could for you even though you thought I babied you too much. You were so much stronger and braver than I ever thought you could be. You lived life on your own terms and left this world only when you were ready. We always didnt see eye to eye but I could not have hoped for a better dad. You loved me unconditionally. Kiss Mom and Sandy for me. I know you will be waiting for me to join you someday. Until then, look down on me and guide me through the rest of my journey. With all my heart, I love you. Your daughter.